1. 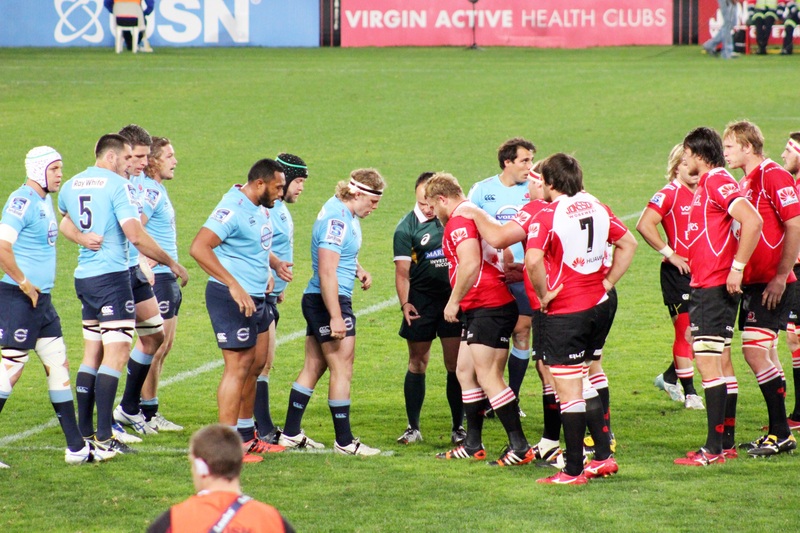 The clash of the titans: I come from a family where rugby has always been regarded as one of the most noble sports in the world, far above soccer, played by a group of gentlemen who embody the values of bravery and resistance, and who meticulously and respectfully construct their game, knowing when to fight and when to stop. I believe the fascination rugby holds stems from this fragile balance between the brutal force of the game and the sheer respect of the rules that the players impose onto themselves . There is a majesty in seeing these titans clashing against each others in a mix of brutality and subtleness that forces the respect. Seeing it live is a memorable experience. 2. An electrifying moment: when it comes to gathering at the stadium and showing support to the local team, South Africans don’t do things in half. 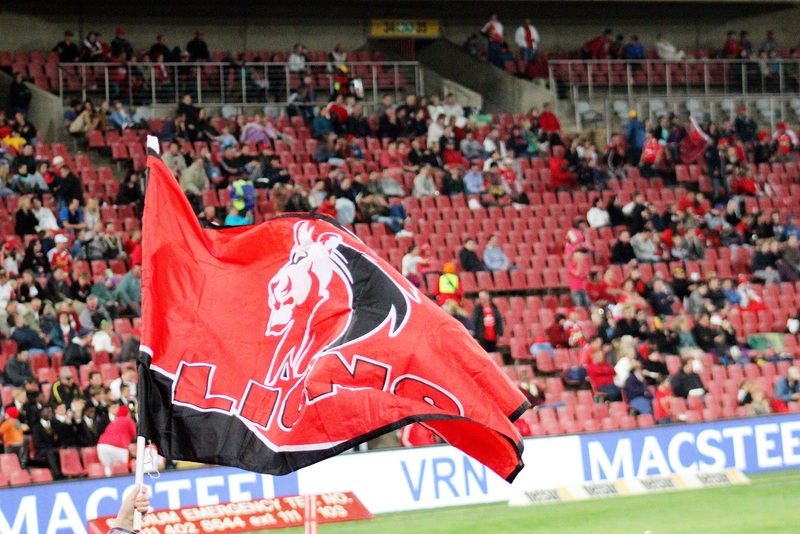 The red, the colour of the Lions, is everywhere, draping the stadium, the food stalls and the various equipments of the place. Everybody rushes towards the shop to get their own shirt of the team and many people are disguised, most of them in….Lions. The smell of braais is everywhere (you can see screens of smoke in most of the pics I took that day) and the whole event is a big celebration, utterly electrifying. I loved it! 3. The beauty of Ellis Park: I had a glimpse at Ellis Park the day I went to the Carlon Center and looked down at the stadium from the top of Africa. Seeing this massive and horizontal piece of concrete pressed against the skyscrapers of Hillbrow had intrigued me, and I was curious to see the architectural details of the place. Well, I wasn’t disappointed. 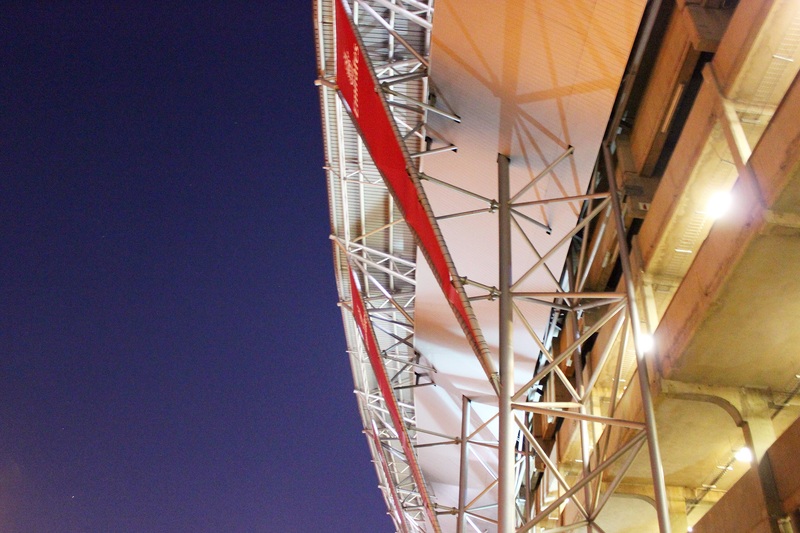 The stadium is stunning, there are many shapes and colours intertwined together, and the shadows that the evening light casts on the building add to the dramatic effect of the night. Besides, you get to see from the stadium a nice view of Hillbrow’s skyline, with the Hillbrow and Ponte towers lightning up at night. Well, in a nutshell, a photograph’s paradise. I loved Ellis Park’s architecture. Too bad I didn’t have a tripod with me to take better night shots. 4. My dad… My dad is surely the reason why I enjoyed the game so much, and it’s quite simple to understand why. I have the best dad in the world. No need to argue about that. But as every super-dad, mine has a big weakness: he never ever stops working and even during the week-ends, he always manages to keep himself always busy. It’s only when there was a big rugby game on TV that he used to come and lie with us on the sofa. He’s a huge rugby fan, and the little I know about the game, I owe it to him. So yes, going to the game made me think a lot about my dad, and though I’m now thousands of kilometers away from him, it made me feel closer to him than I’ve had in months. So thanks the Lions, thanks 94.7 for this magical moment, it really was a blessed evening! It says it all: Join the Pride! 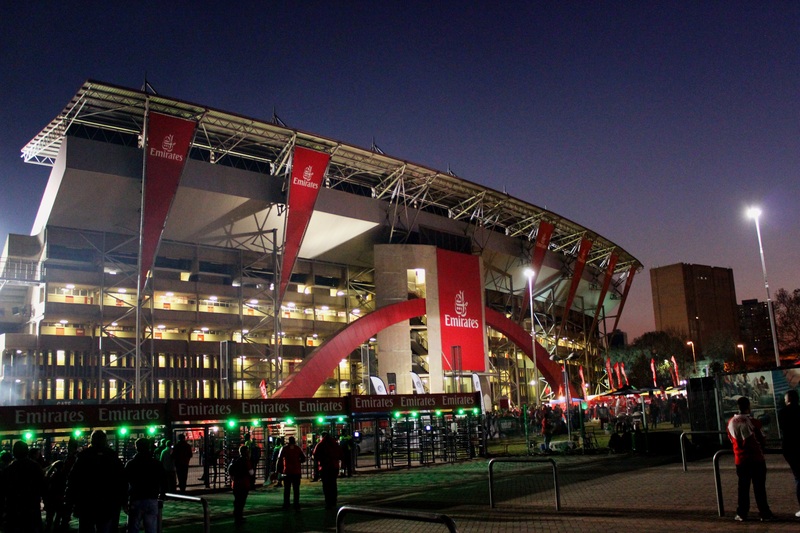 Emirates is the main sponsor of the Lions. And it shows! 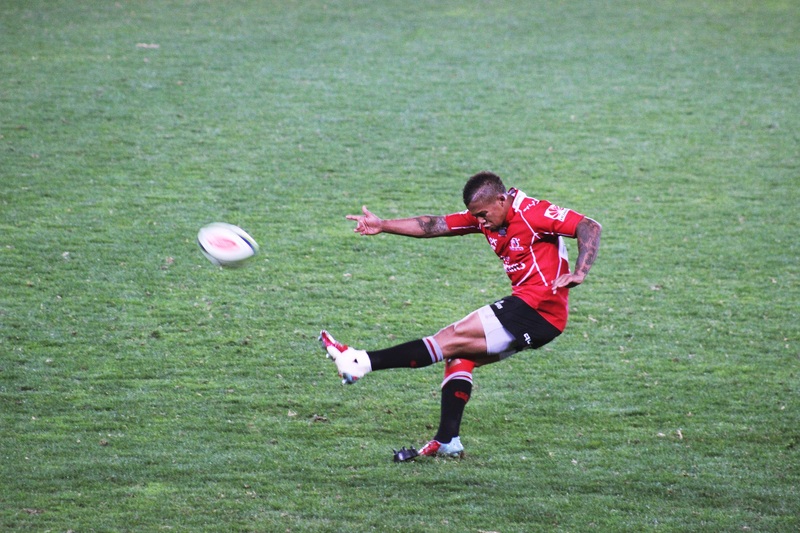 Ellis Park is huge, and the stadium was half full. It got more crowded once the game started. The food stalls under the stadium. That’s where all the spectators were hiding before the start of the game!